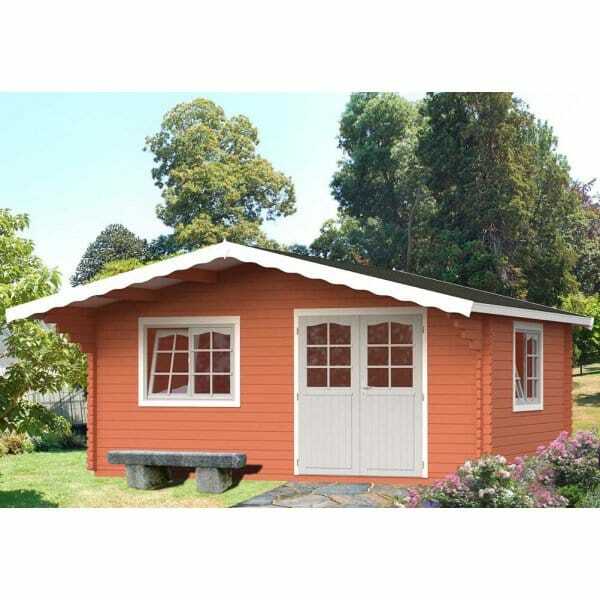 The Palmako Sally 19.1m² Log Cabin is a large, double glazed superb value 44mm log cabin. It is a very practical addition to the garden offering numerous potential uses. It features 44mm wall planks, a double glazed door & 2 double opening double glazed window - one on the front and one that can be positioned on either side of the building. NOTE: The cabin can be supplied with optional Bituminous Felt (Shed Felt) Roofing - see below for pricing information. This is a very adequate Roofing Material and the Cabin Does NOT Necessarily Need the Felt Shingle Roofing Material when shed felt is fitted.